Leadership Initiative is one of the most important attribute that distinguishes them from perpetual followers. Leaders don't wait for the future to come, they create it. They don't wait for others to do what they know they should do. Vision is a picture of what you want to accomplish, yet the attitude of initiative makes the difference between a plan and actual result. In other words, vision is a desire, while leadership initiative gets it accomplished. Initiators make specific decisions to begin things. Things don't get started, progress, or get back on track once they have stalled unless someone takes action to set them on the right course again. A leader helps his followers or employees keep their momentum. a leaders initiative attitude helps him to become his own coach so that he maintains his momentum in pursuit of his lives purpose. 3) Initiative is the manifestation of decision. Nothing can be accomplished unless a decision has been made concerning it. Effective leadership involves a number of decisions and choices, which can lead many people to resist and forsake procrastination. 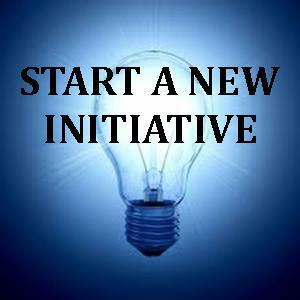 Initiative enables us to make choices that help us to move forward in our goals. Leaders are pleased to see an initiative attitude in their employees. 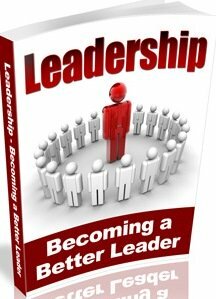 When a leader is indecisive or a follower continually has to be told what to do, it is not only draining on those affected, but it is also inefficient. Leadership growth comes as a result of enthusiastically embracing and moving forward in our purposes. We often hesitate to take initiative because we are afraid of responsibility. When we exhibit the attitude of initiative, it shows that we are operating in faith and the confidence that God will see through as we pursue the purposes that he has for us. Inventors have the habit of doing multiple experiments. They keep trying until something works in a similar way. A willingness to keep starting and trying things as we pursue our purposes sparks the spirit of creativity and yields good results for those who delight in trying one more thing. When we know that we are supposed to do something that is when we should begin to do it. Holding back until we feel like it or the circumstances are better is not conducive to the practice of doing what we need to do at the time that need to do it in order to accomplish our goals. Leaders utilize the power of initiative because they believe in the integrity and faithfulness of their creator. For a leader to be effective in leadership he has to believe in his cause, the rightness of his dream and his competence to accomplish his goals.